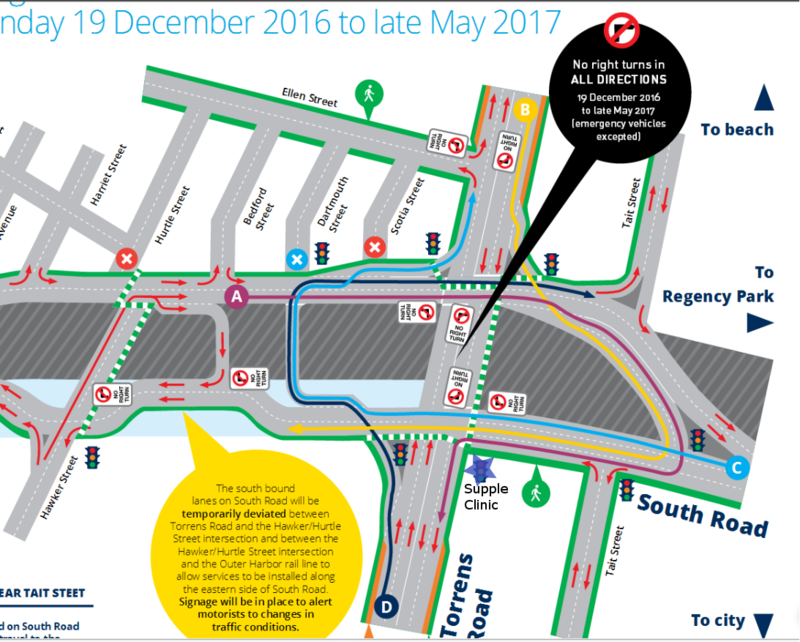 Starting December 19th 2016 there are changes to the way that traffic moves around the Torrens Road South Road Intersection. If you are traveling North on South Road there access will now be via a U-turn over Torrens Road as there is no right turn from South onto Torrens Road. This change will likely make it easier to get into the clinic, but may take a little getting used to as we are all creatures of habit. There will be lights to allow the U-turn to be simple and safe. So allow a few extra minutes for Travel time just to get used to the new conditions.